Premiered June 2015 at Domestic Performance Agency. Running time: 10-20 minutes. 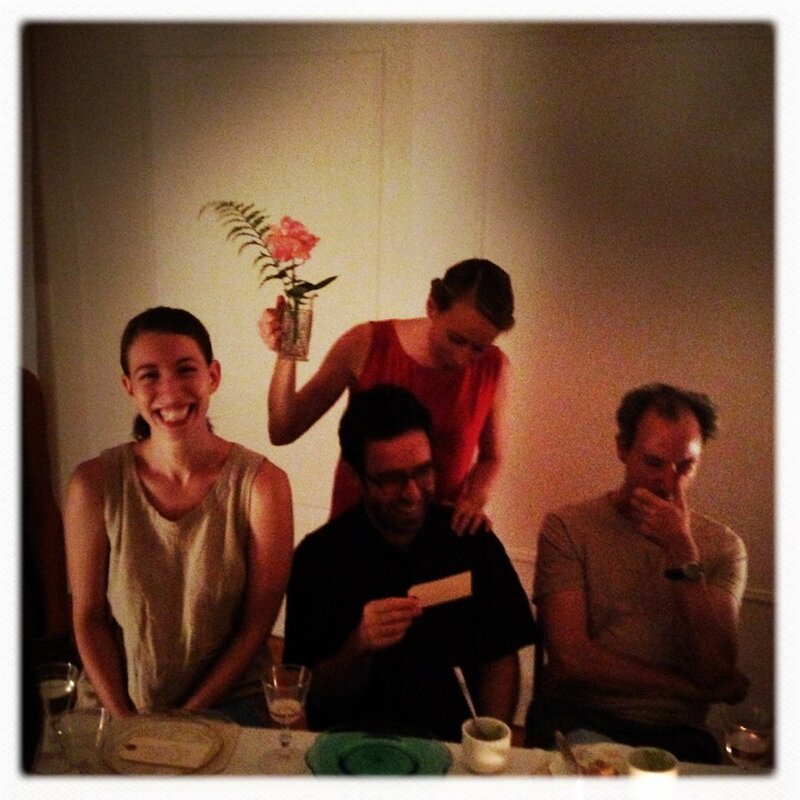 Performed by Kristin Clotfelter and dinner guests. Created in collaboration with Kristin Clotfelter, Dinner Waltz builds on the weaving of spoken story and improvised movement developed in earlier iterations of Waltz: [Uncle Tim’s Bridge/4th Street]. This work explores the intimacy of sharing prompted personal stories at a dinner table, as a performer creates a score questioning our framing of narrative, meaning and how one dances while 8 months pregnant.